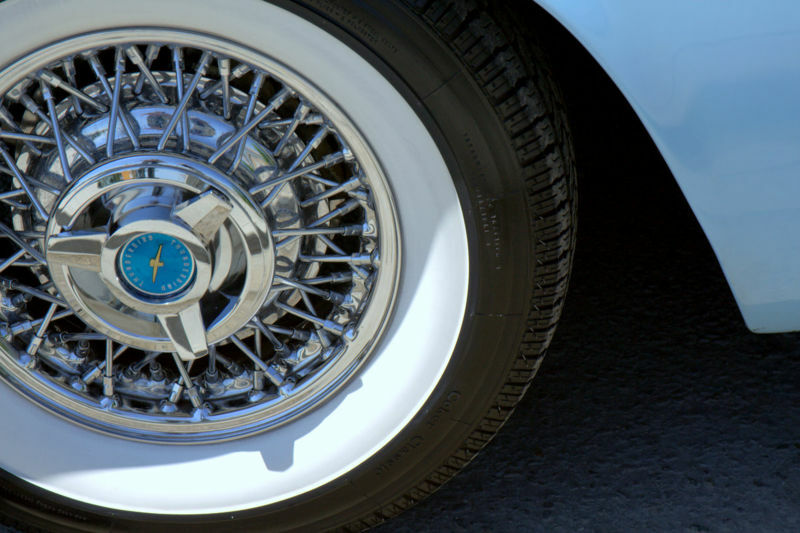 Along with the penchant for retro styling, white wall tyres have enjoyed a small revival in recent years - perhaps not surprisingly, as wheels are one way to really individualise a car. So how did the white wall effect originally come about? Originally, all car tyres were made from a natural white rubber, however they lacked traction so carbon black was added to the mix to improve the tread. Although eventually all-black tyres were produced, for a while there, tyres were made using only carbon black on the tread, giving them a two-tone effect - thus the term white wall. White walls were a characteristic of cars of the late 1920s and 30s, which looked irresistibly stylish with their elegant designs and striking black and white wheels. They also suited the general flavour, which favoured two-tone styling in clothing and shoes as well...think spats. 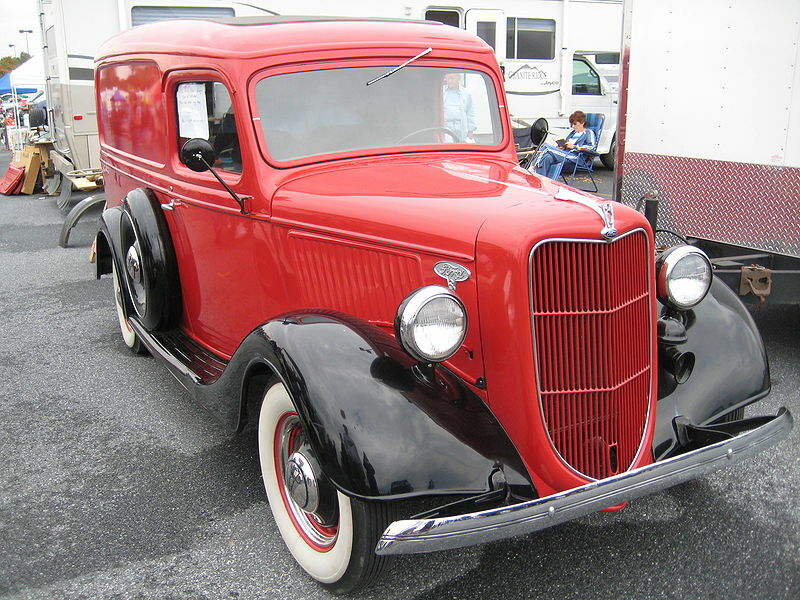 Things shifted a little in the pre-war era of the late 1930s, when all-black tyres were considered superior. They were easier to maintain and were added to luxury cars as a desirable feature but as sometimes happens in the fickle realm of appearances, this was to turnaround again. By the 1950s white walls were all the rage, featuring on many different makes and styles....yet by the mid 60s they were again out of vogue. White steering wheels are something you don't see much of, yet in the 1950s, they were relatively common and suited the pastel colours of the era..pinks, blues, greens. In modern cars grey or black is the standard issue colour, probably for practicality. 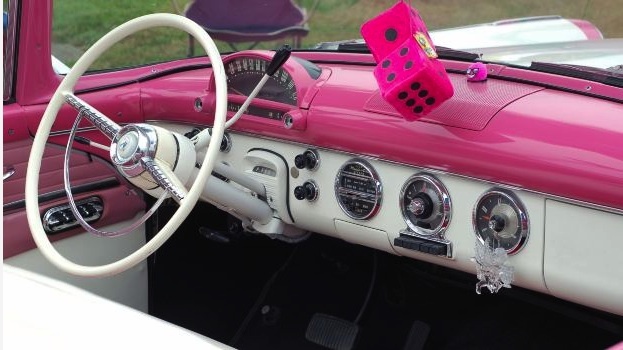 There's something very appealing about those mid century two-toned dashboards and big, skinny white steering wheels, though of course they lack many of the whizz bang features found in contemporary cars.